Hannah Morrison was extremely disappointed when she achieved a grade ‘F’ in her Unit 1, GCSE English Language paper. However, she was determined to repeat the unit to achieve a better grade at the first opportunity. 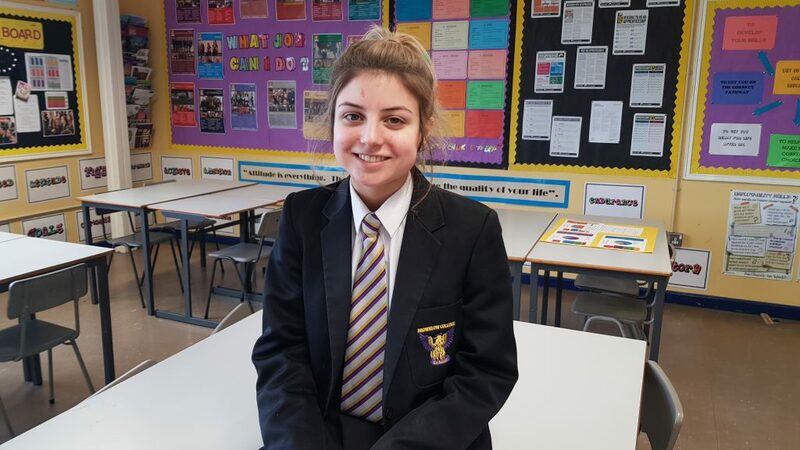 Hannah attended after school revision classes and availed of 1-1 support offered by Mrs Murray. Hannah also completed past GCSE English papers at home. I am delighted that Hannah’s hard work has paid off and she has achieved a grade ‘A’ in her repeat of unit 1 GCSE English Language. Well done Hannah! It just goes to show that hard work and determination pays off. After school revision classes and extra support will be offered in all subjects after Easter for year 12 pupils. Please speak with your teacher for days and times. Make the next few weeks count and achieve the best result you are capable of. If Hannah can do it so can you!